To your right, the Manly Ferry chugs past the white sails of the world’s most famous Sydney Opera House. To your left, the Sydney Harbour Bridge feels so close you could reach out and climb it. In front of you sits a glass of chilled Semillon and a colorful posy of preserved wild cherries, albino and Chioggia beetroots, paper-thin radish, and a scattering of deep blue violets. Welcome to the lucky country. But it’s not just the opera house, sunshine and beautiful harbor that makes dining in Sydney different from the rest of the world. The lure of a good restaurant with accommodation is obvious: after indulging in a fine meal (with equally fine Hunter Valley wine) there’s nothing better than a comfortable bed within walking distance of your table. 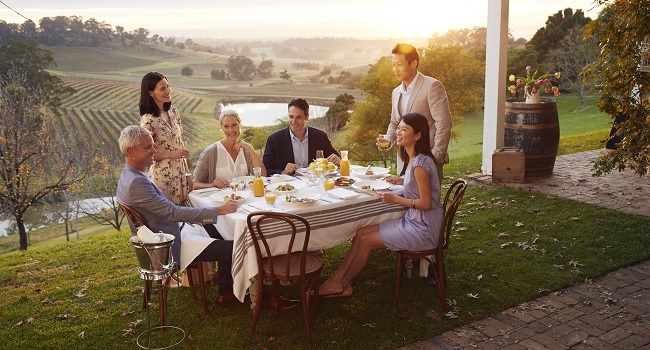 Some of the best places to eat in Sydney and New South Wales are now found in unexpected places – city laneways, country pubs, beach towns, or in tiny rural hamlets – and the journey to these places has become a culinary pilgrimage for food and wine lovers. 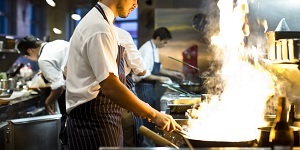 Happily, many of these out-of-the-way restaurants now offer a high standard of accommodation (and many existing regional hotels are attracting star chefs keen on a slower pace of life) which means there is now a plethora of restaurants in Sydney and regional New South Wales to discover and explore. 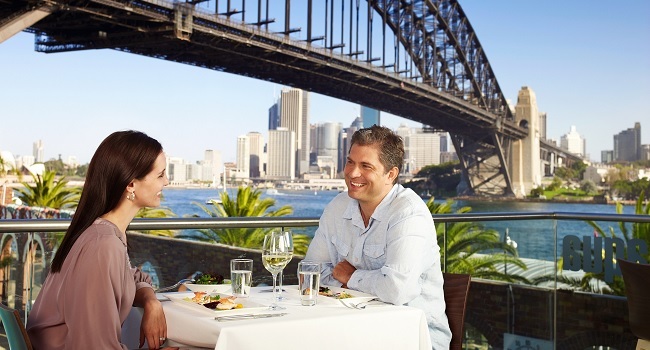 Enjoy 7 nights in Sydney packed full of culinary adventures. Sample the food and wine stories whilst showcasing the passionate people, stunning places and delicious produce of this vibrant diverse city. Experience Australia’s most exciting city, Sydney, and the Hunter Valley, the oldest wine producing region in Australia with the Hunter River winding its way lazily through the grapevine clad hills. Couple sophisticated Sydney with Australia’s ultimate beach resort Byron Bay. 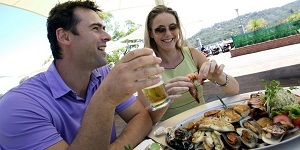 En route sample the rich and varied food and wine experiences in the Hunter Valley, Port Stephens and Coffs Harbour as you drive north. Self-drive Sydney - Oyster Coast for a feast of the senses. Soak up the cuisine and flavours that Sydney has to offer. 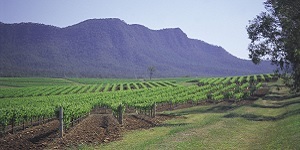 Hit the road to the oyster trail running 185 miles along the pristine coastline of the New South Wales south coast.